First, Russian DIYer Dmitry Morozov, better known as vtol, has a website full of his colorful instruments. Nice panel art! He apparently makes limited issues of some of them for sale. Then, Flickr user “jugger-naut” built a tube synthesizer in plug-in module form. And Joe Paradiso built a hybrid synthesizer into a CAMAC crate, to be controlled by a PDP-11 minicomputer, in December 1979. Don’t throw it away, Joe, it’s a priceless historical artifact! Hello, thanks for this great site ! Not sure if this fits, so don’t want to spam the list, but “Dirty Electronics” does some groovy gear. Small DIY performance and building group. 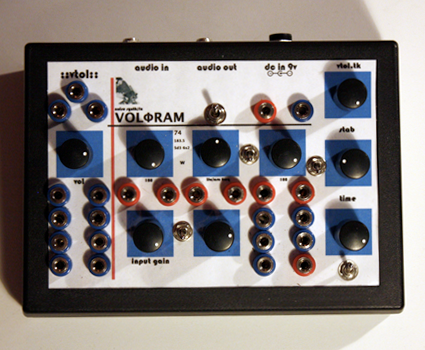 Has done SOME “mainstream” work designing a synth for Mute Records and some Throbbing Gristle stuff.